1). (A) Adoral view of Tetragramma variolare. 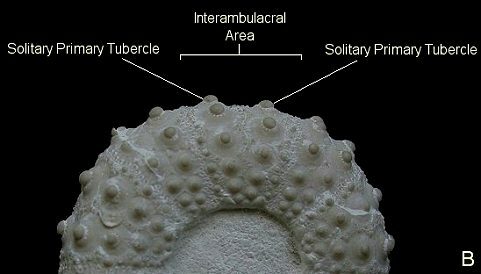 Each interambulacral plate has 2 or more primary tubercles. (B) Adoral view of Phymosoma koenigii. 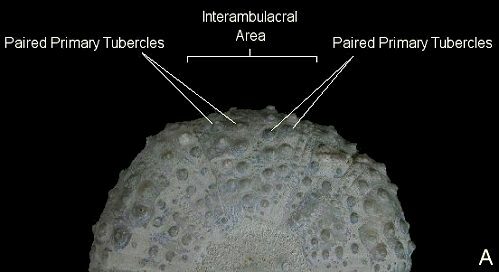 In contrast with Tetragramma variolare, there is only one primary tubercle per interambulacral plate.